The Edmonton Oilers have traded defender Jakub Jerabek to the St. Louis Blues in exchange for a 2020 sixth-round draft pick, the Oilers announced Monday. Jerabek was signed by the Oilers just over a week prior to this deal. Prior to the trade, the Oilers did place Jerabek on waivers as he appeared to not make their opening night roster. The left-shooting Jerabek would sign a one-year contract with the Montreal Canadiens ahead of the 2017-18 season, joining the team after he spent the first nine seasons of his career split between the Czech League with Plzen HC (2008-2016) and the KHL with Podolsk Vityaz (2016-2017). Jerabek would spend 25 games with the Canadiens in his rookie season with an additional 17 coming in the AHL with the Laval Rocket. 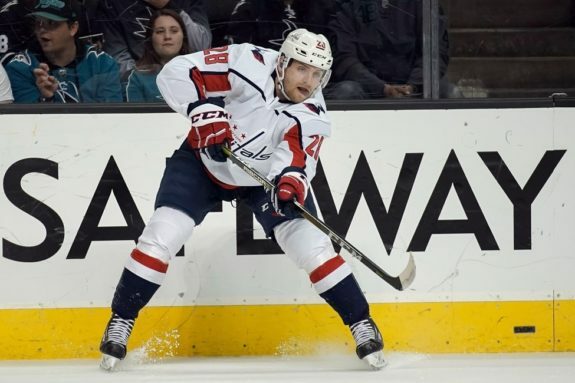 He was traded to the Washington Capitals at the trade deadline for a 2019 fifth-round draft choice and was used as a depth defender with the club in his time there. While he would ultimately be part of the Stanley Cup-winning team in Washington, he would earn the distinction of Champion after playing in only 11 regular season games with Washington and two postseason games. With two goals and eight points in 36 games in his rookie season, Jerabek was far from the two-way, assist-producing defender that he was in the KHL and the Czech League prior to making the jump to North America. Despite this, his potential and relatively young age (he’s still only 27 years old) made him appealing to the Oilers on a one-year, $1 million deal to bolster their defensive depth. 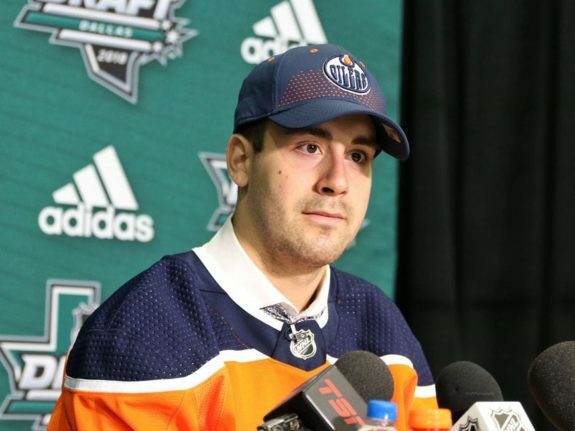 For one reason or another, however, the Oilers decided to pull the plug on the Jerabek experiment and were able to collect a draft pick from the Blues in the process. The sixth-round pick traded as a part of this deal could become a fifth-round selection if Jerabek played in 50 games or more with the Blues in 2018-19, so the value was certainly there for the Oilers to make the move. Not only was Jerabek not expected to make their roster to start the season but he was also so new to the organization, signed Aug. 20, that they’ll likely barely even feel a difference organizationally as a result of the move. This leaves the Edmonton Oilers with eight NHL defenders vying for a job on the NHL roster. Of note in that group are prospects Ethan Bear and Evan Bouchard as well as Jason Garrison who is with the team on a PTO this camp. Bouchard was the Oilers first-round pick from the 2018 NHL Entry Draft and while it may not be wise to rush him to the NHL this soon, injuries and his play in the preseason might force the team’s hand early on.